Kentucky Kingdom is now countersuing two patrons who claim they were injured at the park, alleging that the injuries were staged. Reports indicate that the couple had derived some sort of plan to extort money from the park. 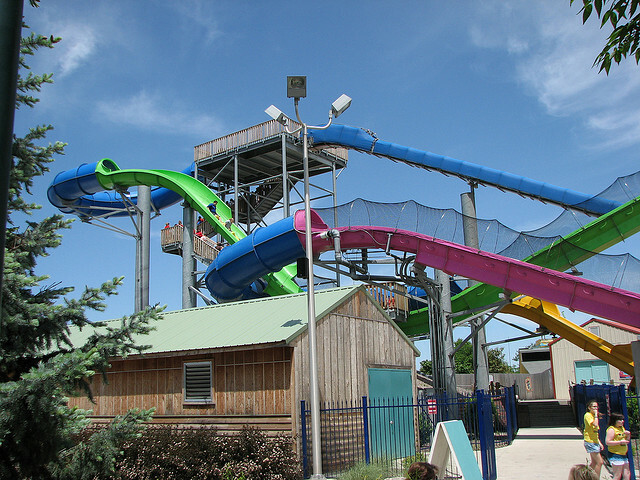 The two recently filed a lawsuit accusing the park of negligently allowing them to go down a water slide using an incorrect inner tube. 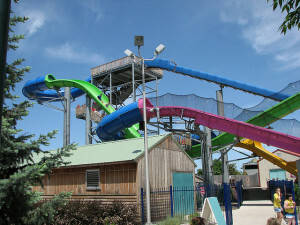 The man and woman claim they were injured when they fell out of their inner tube on the Voodoo Express water slide, blaming the lifeguards and the park for their carelessness. Kentucky Kingdom issued the following points in their countersuit against the couple. Lifeguards don’t give tubes to guests. “Approved tubes are in the pen,” according to the park. The pair failed to wait for lifeguard instructions before going down the slide. Moreover, a friend of the couple has provided a sworn affidavit to Kentucky Kingdom that the injuries were part of a ploy to get money from the park. The friend claims that her friend mentioned “that she planned to intentionally get hurt at Kentucky Kingdom in order to obtain a settlement,” according to reports. When the party originally being sued wants to sue the opposing party, this is what is called a counterclaim. Kentucky Kingdom was originally sued by the man and woman for their injuries, but the park is now countersuing based on the allegations that the two intentionally got hurt in order to obtain a financial award from the park. If the claims do continue to trial, a jury will likely have to determine if the two were actually victims of negligence or not. After an accident, many injury victims want to find out more information on the accident and what their legal rights are. A Florida Water Park Accident Lawyer at Whittel & Melton can sit down with you, review the facts of your case, answer any questions you have and explain all of your rights and your options in a no-cost consultation. To schedule an appointment, please call us today statewide and toll-free at 866-608-5529 or contact us online.